I’m not sure why it took me so long to make candied basil, but now that I’ve checked it off my bucket list there’s no stopping me. Learning how to make candied basil only sounds fancy. In reality, it’s so easy an 8 year old can make it. I know this from experience doing it with my little one. 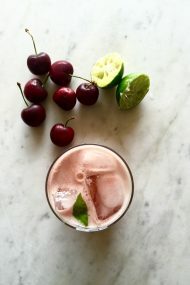 I’d originally made my candied basil to garnish a basil margarita just as spring turned to summer. I’d tucked the recipe away in my files, planning to photograph, and share it at some point. 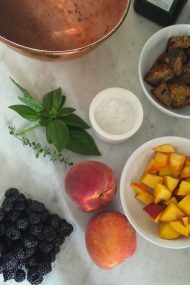 Then Pinterest approached me a couple of months ago, asking if I’d like to collaborate on a recipe featuring one of the ingredients in their new flavor report, and guess what ingredient happened to be on it? Yes, basil! So, what do you need to make candied basil at home? Well, for starters, the right weather conditions. 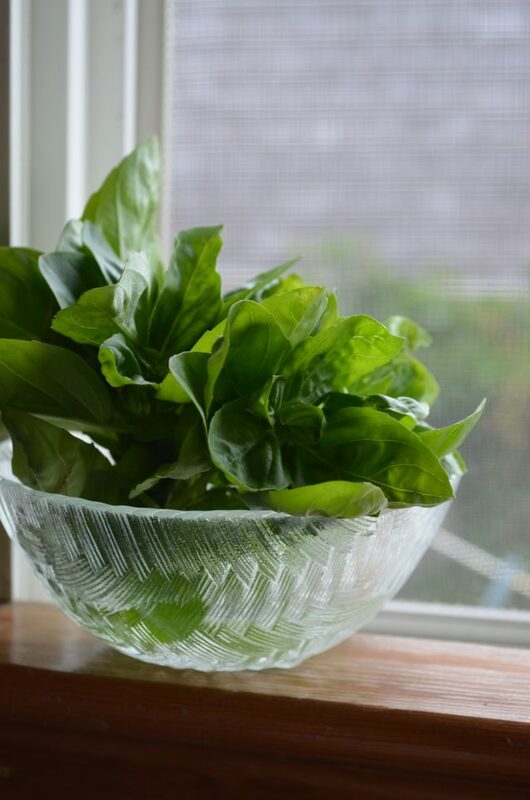 Humidity will thwart your plans for perfectly dried candied basil leaves, so set about making them on a cool, dry day. 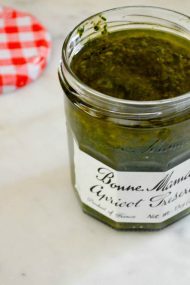 Fall is the perfect time to do this, and a great way to preserve some of your end of summer basil bounty. The rest is the easy part. All you need is fresh basil leaves, egg whites, and superfine sugar. Any dirt should be gently removed from the basil—a paintbrush is good for this step. The egg whites are beaten just until they’re foamy. Ideally, superfine sugar is best to use. Superfine sugar is simply cane sugar that has been ground up a bit finer. It’s easily available in the baking aisle of most grocery stores. If you can’t find it, or don’t want to buy a special ingredient, you can make it at home by pulsing a bit in a food processor or mini chopper until it’s a finer consistency. But you know what? If you can’t find superfine sugar, or don’t feel like making a batch, regular, old granulated sugar will work in a pinch. It really doesn’t have to be that fussy an endeavor. Perhaps I should’ve kept the whole superfine sugar business to myself, but I like to offer options, so that’s that. Ditch the clunky pastry brush, and raid the kids’ art supplies for a smaller, fine bristled brush. The egg white acts as edible glue, allowing the sugar to stick to the basil leaf. If using raw egg whites freaks you out, the pasteurized stuff in the dairy aisle can be used. You want to coat the basil leaves with just enough egg white so the sugar can adhere, but not so much that it weighs the basil leaf down. If you’re making these with the kiddos, do a test leaf first, and expect they’ll saturate the first one or two as they find their groove. Working quickly, before the egg white dries, dip the basil leaf in sugar. Gently shake off any excess, and set them to firm up in a cool, dry place until hardened. And that’s it! It really is that easy to make candied basil at home. So far, I’ve only used my candied basil to garnish cocktails. I’m excited to use them on cupcakes and cakes. Virginia loves snacking on them as a savory, sweet treat as-is. I’d love to hear how you’d use them now that you know how easy they are to make. Line a sheet pan or plate with a piece of parchment paper. Shake a bit of sugar onto a small flat dish. Dip a fine bristled brush into the egg; shake off any excess. 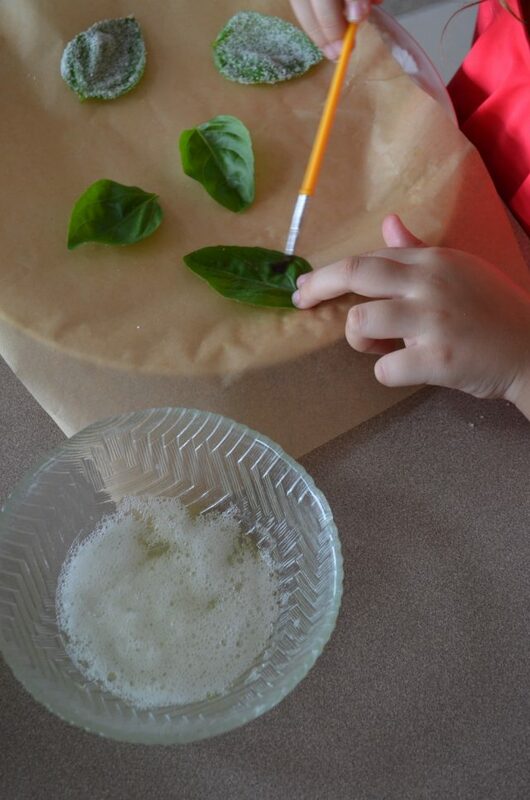 Paint the top and bottom side of a basil leaf with the egg wash—just enough to coat, but not saturate, it. 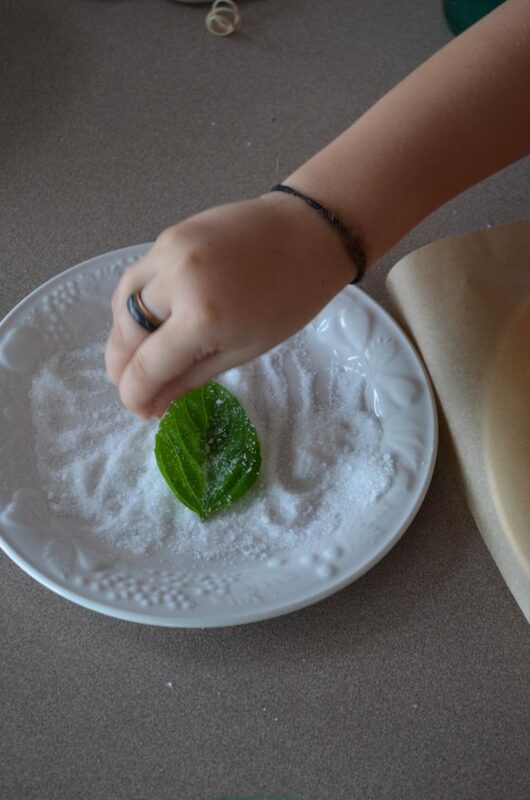 Dip both sides of the leaf into the sugar. Gently shake to release any excess sugar. 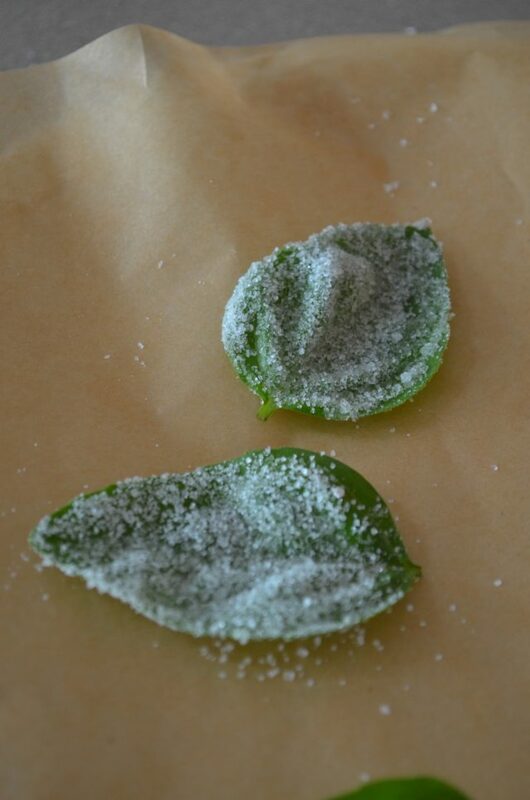 Set the sugar coated basil leaf on the parchment paper. Repeat with as many basil leaves as you like. When done, set the tray in a cool dry place (not the refrigerator or freezer), until they’ve dried completely, 3 to 5 days, depending on the humidity level in your environment. Once dried, the candied basil leaves will keep in a tin for up to 1 month. I just made your homemade ricotta. I can’t wait to serve it for dinner with a baguette and a bunch of roasted veggies. Do I store it in a covered container with the cheesecloth, or do I ditch the cheesecloth at this stage? I’m planning on making a pizza cake for a Winter Fair event at my daughter’s school. I’m going to try this candied basil recipe to be used as a topping along with shaved white chocolate for “cheese” and who knows what else. Excited to try it out…thanks! I went looking for a candied basil recipe because a local chef has been using ground up basil candy to spoon over heirloom tomatoes and it is delicious. Your recipe looks like it will work great – just needs to be processed into smaller crystalline pieces to be able to spoon over the tomatoes.